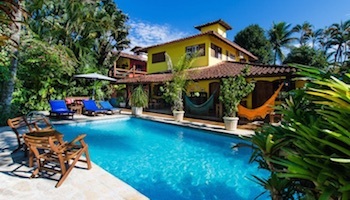 Long a favorite getaway spot for residents of Brazil, Argentina and Paraguay, the southern tip of the Brazil is fast becoming a popular destination for visitors from every corner of the globe. With attractions that range from pristine beaches and awe-inspiring waterfalls to historic ruins and modern museums, it’s easy to understand the region’s growing appeal. Exploring the relatively small area is surprisingly easy as well. 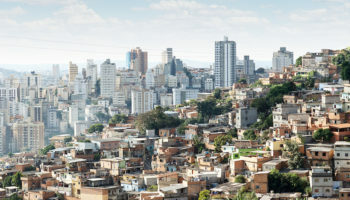 Largely inhabited by people of European descent, most destinations in Southern Brazil boast a high standard of living, a strong infrastructure and a well-developed hospitality industry. 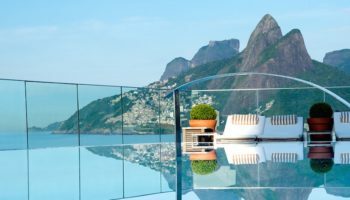 With its temperate climate, delightful cuisine and abundance of recreational activities, Southern Brazil a wonderful place to spend a memorable vacation. The state capital of Rio Grande do Sul, Porto Alegre is situated along the banks of Guaiba estuary where five rivers spill into a mammoth freshwater lagoon. 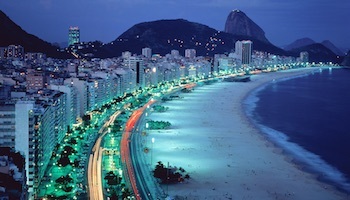 The large metropolis is one of the prosperous in Brazil, and it’s one of the most culturally rich cities as well. With its expansive collection of photographs and archeological artifacts, the Joaquim José Felizardo Museum is a must-see for any visitor interested in the city’s historic past. Unfortunately, crime levels in the city are concerning and the downtown area is clearly seedy, even during the day. 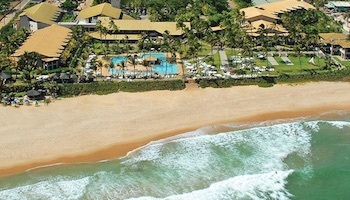 Nestled against steep hills on the coast of Santa Catarina state, Balneário Camboriú is one of the most popular beach resorts in Southern Brazil. 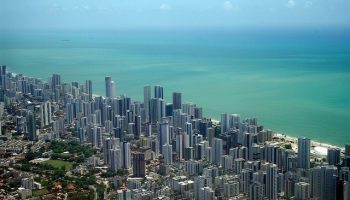 Often compared to Copacabana, the city features a long line of high-rise hotels, clubs and bars that stretches along the entire length of the arcing shoreline. Like Rio de Janeiro, Balneário Camboriú has a large-scale statue of Christ standing atop a hill overlooking the city. A complex with restaurants, shops and playgrounds are clustered around the base of the 10-story-high statue. Known for its lively nightlife, Balneário Camboriú boasts family-friendly attractions too, including a zoo, aquarium and a botanical garden. Located in the state of Rio Grande do Sul, the small town of São Miguel das Missões is home to what remains of the 17th-century mission of the same name. The picturesque ruins are the best preserved of the seven Jesuit missions that were built in the land of the Guaranis during the 17th and 18th centuries, in order to convert the natives to Christianity. Now protected as part of an historic park, São Miguel is prized for the beauty of its surroundings as well as for the mission’s graceful architectural style. Statuary unearthed in archeological digs is on display at the nearby Mission Museum, which was designed by renowned Brasilia architect Lucío Costa. 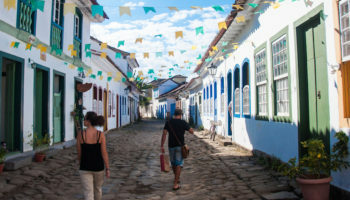 Located in the state of Santa Catarina, Blumenau was largely settled by Germans in the 1800s, and its old-world Bavarian atmosphere is still its star attraction. The city’s Oktoberfest is the biggest in Brazil, filled with beer-drinking street parties that rival Rio de Janeiro’s Carnaval in size. Blumenau’s German-inspired cuisine and architecture, however, attract sightseers year round. Charming half-timbered buildings abound in the quaint Vila Germânica historic district where German bands play and eateries serve everything from hot dogs to smoked pork chops and ham hocks. 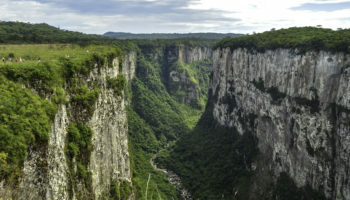 Encompassing broad swaths of land along the border between the states of Rio Grande do Sul and Santa Catarina, Brazil’s first national park was established to protect the region’s spectacular canyons. 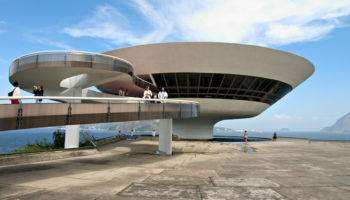 The breathtaking Itaimbezinho is the park’s main attraction. A short walk from the visitor center leads to the rim of this canyon, offering views of seasonal waterfalls plunging into the deep valley below. During the dry season, hardy adventurers can hire a professional guide and spend an entire day tramping along the river bed that runs through the canyon’s base. The capital of the state of Paraná and its largest city, Curitiba is both a jumping-off point for excursions in the area and a city worth exploring in its own right. With its extensive public transportation system, pedestrian-only zones and abundance of green spaces, Curitiba is considered a model of environmental sustainability. Curitiba boasts restored historic architecture like the Old City Hall and the colonial buildings of Largo da Ordem. To take in some natural beauty, visit the Botanical Garden where you can stroll through the palace-like greenhouses, the labyrinthine French gardens and the Botanical Museum. The coastline of Southern Brazil features hundreds of beautiful beaches, but few compare to the pristine stretches sand found on Ilha do Mel. 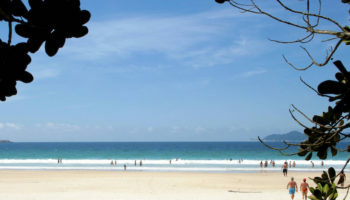 Thanks to its designation as an ecologically protected zone, the island located off the shores of the state of Paraná remains untouched by modern development. No cars are allowed on Ilha do Mel, but the island is crisscrossed with a network of foot paths and trails. The number of daily visitors is limited too, ensuring that everyone enjoys an uncrowded experience. When not sunning, swimming or surfing, a scenic lighthouse, grotto and 18th-century Portuguese fort located on the island invite exploration. 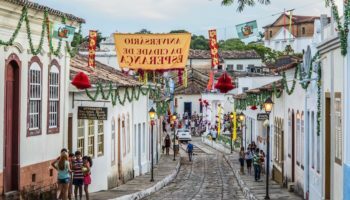 Located on the banks of the Rio Nhundiaquara in the state of Paraná, Morretes offers visitors a picturesque view of life in colonial Southern Brazil. Many of the structures built here during the 1700s remain largely intact, particularly those along the cobblestone promenade that parallels the river. The colonial town is best known for its restaurants and for the local dish barreado, a tasty meat stew cooked in a ceramic pot. Morretes is often visited as a side strip from Curitiba, and the popular Paranagua-Curitiba Railway tour passes through the town as well. Founded as a port city by the Portuguese in the 1700s, Florianópolis is best known today for the beautiful island of Santa Catarina that lies within the city’s boundaries. More than 40 sandy beaches hug the shores of this resort island, offering endless opportunities for water sports from surfing and scuba diving to parasailing and sand-boarding. Connected to the ocean by a canal, the Lagoa da Conceição is a popular destination too. Gorgeous views make the large saltwater lagoon the perfect spot for leisurely strolls. The island’s best restaurants, shops and night spots are found in this upscale area too. No visit to Southern Brazil is complete without a visit to the majestic Iguaçu Falls located at the point where the borders of Brazil, Argentina and Paraguay meet. Located just a short drive from Foz do Iguaçu, the nearest city, the mammoth waterfall has been described as “Niagra on Viagra.” Depending on the season, between 275 and 350 falls tumble together in tiered cascades over the steep cliffs in a thunderous roar. Hiking trails offer panoramic vistas of the falls and close-up views of the lush forest fed by the constant spray. Boat rides take thrill-seeking passengers near to the base of some of the falls.